This is one of a series of four books which form part of The Open University course Child Development. The series provides a detailed and thorough undergraduate–level introduction to the central concepts, theories, current issues and research evidence in developmental psychology. Children′s Personal and Social Development gives an up–to–date and accessible account of work addressing an area of psychological enquiry that has grown rapidly in recent years, namely the study of children s personal and social development. Each of the chapters focuses on a specific key issue or topic, for example parenting or gender identity, and discusses associated theories and research. The chapters have been prepared by leading researchers in relevant fields and members of The Open University course team. 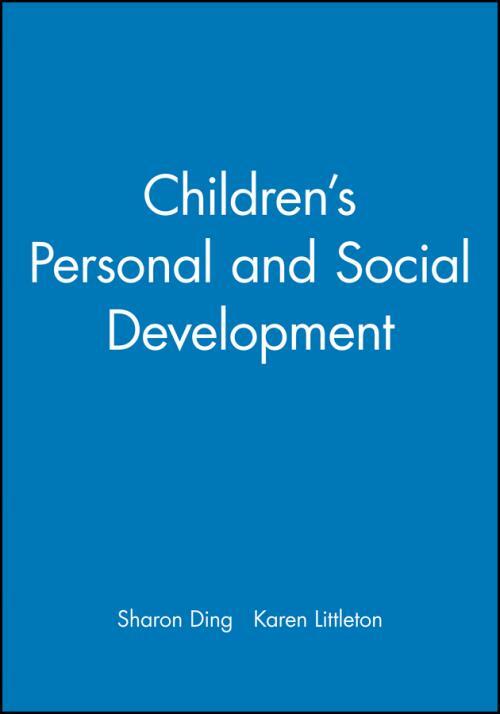 Children′s Personal and Social Development is a course text for the Open University course ED209. 2. Disturbed and Disturbing Behaviour. 3. Siblings and Peer Relationships. 5. Gender identity and the Development of Gender Roles.